Sserunjogi was injured in the accident. NWOYA — Two people died on the spot and five others including Greater Bushenyi Regional Police Commander Eddie Sserunjogi and his wife were injured in a road accident Tuesday morning. Harriet Nanyonjo, 38, and Mawanda Sentamu, 30, both from Mbuya in Kampala, were killed when the driver of Sserunjogi’s Toyota Hilux double cabin, only identified as Tusimwe, reportedly knocked a road sign, causing the vehicle to overturn. 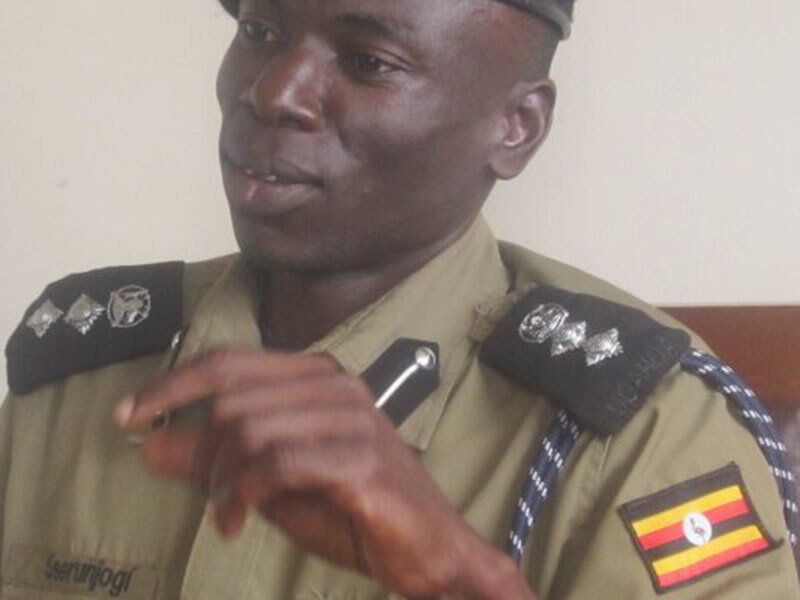 Sserunjogi and the officers and family members were reportedly returning from a burial in Arua District at 1am when his driver lost control of the vehicle on Karuma-Pakwach road in Lolim Village in Nwoya District. According to Aswa Region Police spokesperson, Jimmy Patrick Okema, the incident occurred at 1:00am on Tuesday. Among those critically injured include Greater Bushenyi RPC Sseronjoji, his wife Claire Asero, Joyce Chandiru, Seraji Sentamu, Musa Kawoya Ojok, and Pius Ssali. Okema said bodies of the victims have been taken to Anaka hospital mortuary while the injured were taken to Pakwach Health Cntre in Pakwach town.